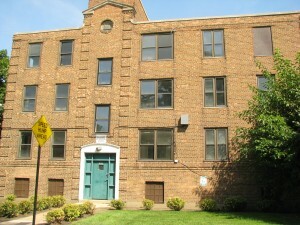 » Is CHA Holding Vacant Apartments? According to data collected by the Chicago Housing Initiative, CHA had 21,900 hard public housing units at the start of 2011, but only provided housing to 15,760 families by that summer, leaving as many as 6,140 units unaccounted for. “A home is a terrible thing to waste,” said Leah Levinger, coalition coordinator for the Chicago Housing Initiative, to CHA board members during their public meeting at the Julia C. Lathrop Homes public housing complex at 2915 N. Leavitt on September 20. Activists with the group noted that there are over 68,000 people on the CHA’s waiting lists, and that there are many un-used units at the Julia C. Lathrop homes, Cabrini Row Houses, and elsewhere. Levinger said documents the group obtained documents from CHA which show only three vacant units at Lathrop Homes when residents report that there are over 700 vacant units. Levinger’s numbers were news to CHA Chairman James Reynolds, who told her, “Your data absolutely conflicts with what this board has been told, which we have been told that we were at 98 percent occupancy, the top performer in the HUD challenge.” Reynolds asked Levinger to meet with CHA staff to try and explain the difference. 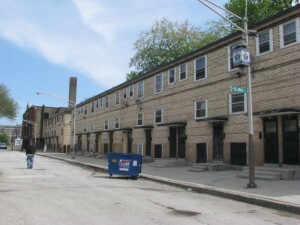 Lathrop Homes, located on the Near Northwest Side, has 925 units in three- and four-story apartment buildings and two-story row houses on 35 acres. CHA stopped leasing out vacant units at Lathrop Homes in 2000 with rehabilitation scheduled to begin in 2001. The rehab didn’t take place, however, and the Housing Coalition reported that currently, only 170 units are occupied, and 750 are vacant. Tami Love, a staffer for the Logan Square Neighborhood Association, works with Lathrop tenants and lives in North Lawndale. When she learned about the vacancies in Lathrop, Love looked around her own community and found some beautiful rehabbed CHA buildings that have been vacant for years. She asked CHA officials at a Sept. 13 public hearing, “My question to you is, ‘Who you are saving these units for? Because obviously, it is not for the families that need them,” she said. 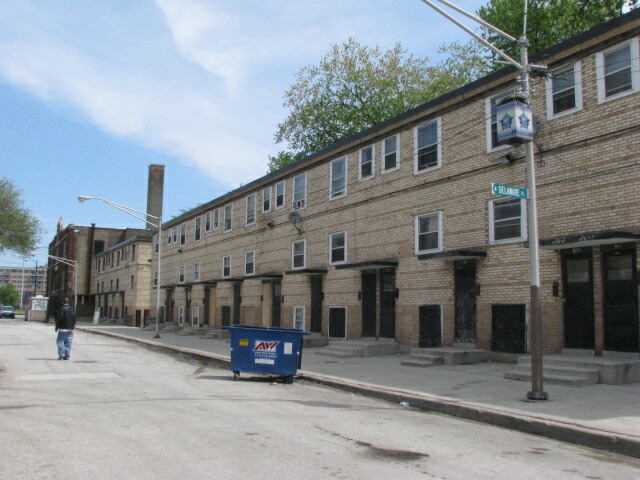 Dante Harper, located at 69th and 70th streets between Dante and Harper avenues, is a 50-unit CHA scattered site property located in the Grand Crossing community. 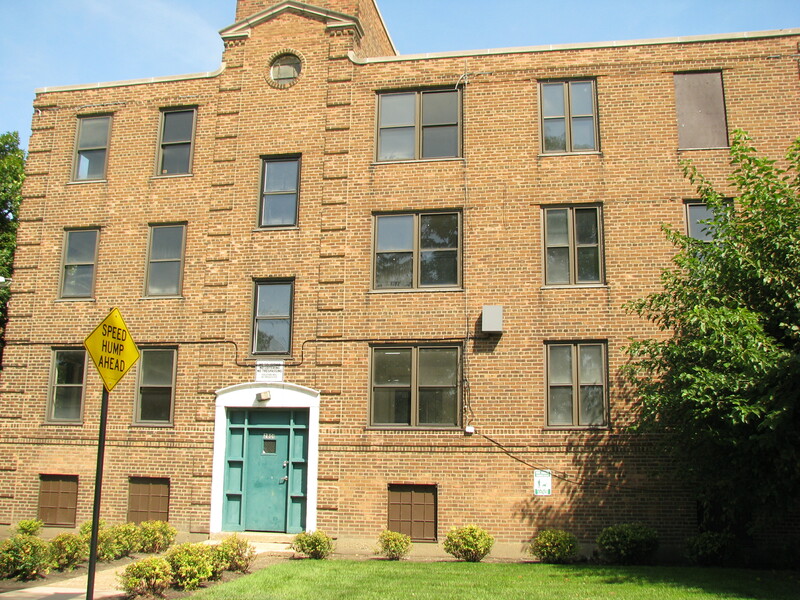 At least 36 public housing units at Dante Harper received substantial rehab in the mid-2000s. CHA vacated the property in 2005, “stating that the units needed to be re-repaired, and that the residents would be returning in a year,” said Deborah Taylor, a member the Southside Together Organizing for Power and several other human rights groups. Located on the South Side between Pershing Road and Lake Park Avenue, Lake Parc Place was fully rehabilitated by 2004, according to CHA data. Yet many of those units are vacant and being “wasted,” according to Shannon Bennett from the Kenwood Oakland Community Organization (KOCO). Bennett told reporters during a press conference before the Sept. 20 CHA Board meeting that “there’s a great need for affordable housing.” At the end of August, Bennett said there were 120 vacant units out of a total of 280 apartments at Lake Parc Place. “For years the vacancy rate at Lake Parc Place hovered around 40 percent,” Bennett said. “Now we’re being told that these vacancies are existing and being held for the conversion to make these units ADA accessible. Bennett added that through conversations they have had with the CHA, they had been told that there is an interest by the CHA to target incomes as high as 80 percent of the Area Median Income, which could include families making about $48,000 per year. Jadine Chou, vice president of CHA Asset Management Department, told Residents’ Journal after the CHA Board meeting on October 18, “There was a leasing freeze because CHA was planning and is doing ADA retro finishing in the building, where up to 20 percent of the units in the building will have to be redone to be ADA compatible. In order to achieve that, the architect did need us to do a leasing freeze,” she said. Chou added that the CHA would begin leasing the vacant units out, now that the ADA plans are in place. 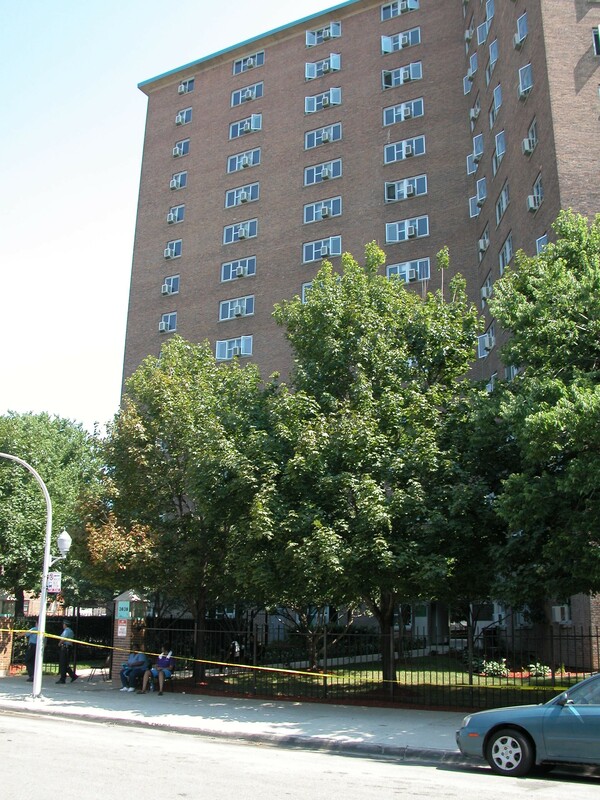 Thirty-three families living in non-rehabbed units at the Cabrini-Green Row Houses were recently given 180 days to move out of their public housing units because of security issues at the public housing complex, according to the CHA interim chief Carlos Ponce. In a Sept. 1 press release, Ponce reported that there was a 92 percent vacancy rate there, and gave the 33 tenants living in un-rehabbed units their moving papers, even though people will continue to occupy the 146 row house units that were rehabbed in 2009. The CHA is considering demolishing the vacant row houses and redeveloping the property along the lines of the mixed-income strategy it is using where Cabrini-Green’s high rise buildings once stood. “We will leave it up to the working group to decide,” Ponce told RJ After a Sept. 13 public hearing on CHA’s 2012 Plan at the agency’s downtown headquarters. Residents’ Journal has discovered that the CHA has also left some of their senior housing buildings dormant for years, and even received federal funding for the building while it was closed. 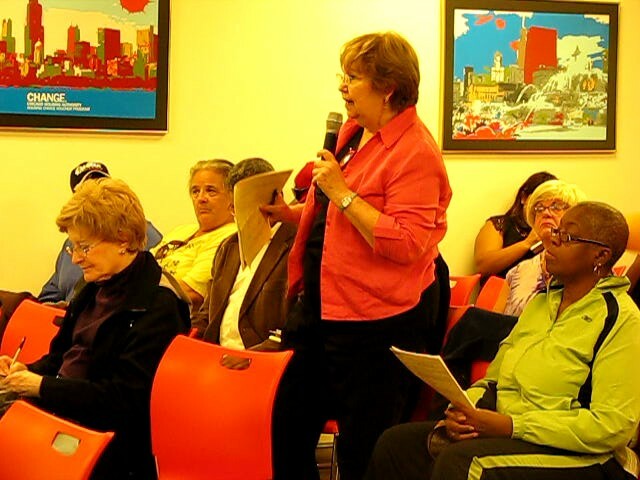 Liz Brake, a member of the Housing Initiative and the Jane Addams Senior Caucus, questioned CHA officials at the Sept. 13 hearing about why they received federal funding for the vacant 20-story Parkview Senior Apartments, built in 1962 and located at 3916 West Washington Blvd. in the West Garfield Park neighborhood, now renamed Fannie Emanuel. Brake added that the Jane Addams Senior Caucus engaged in a series of quarterly meetings with the CHA beginning in 2007 pertaining to three other senior buildings which are now leased up. “So this should show you that there is a need. 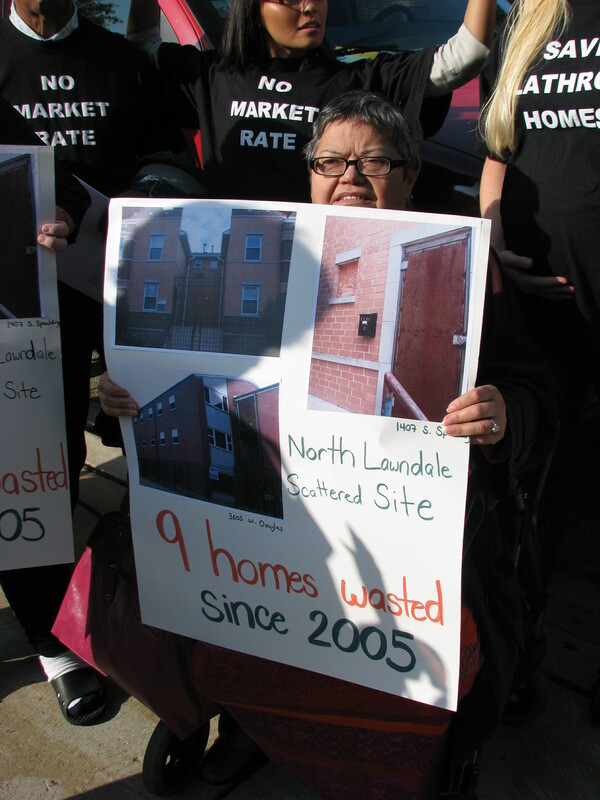 A great need for senior and all kinds of subsidized housing,” she said. When trying to question Ponce about the contradictions between the actual numbers of family public housing units they have and the ones that they are counting as 98 percent occupied, Ponce walked away without answering. In a press release issued the day of the board meeting, CHA stated it has designated many vacant units as being “offline” for leasing. “Throughout the Plan for Transformation units can be designated offline, and therefore not available to lease, for a variety of reasons, including, redevelopment, various community planning processes, retrofits to meet ADA requirements and overall updates and improvements,” according to the release. CHA reported that it has leased “nearly 2,000 units to Chicago families and seniors,” over the past 6 months, and added that 300 more units “will be available for lease before the end of the year” to eligible families on their wait list. This entry was posted	on Wednesday, October 26th, 2011 at 10:43 pm. You can follow any responses to this entry through the RSS 2.0 feed. You can leave a response, or trackback from your own site.